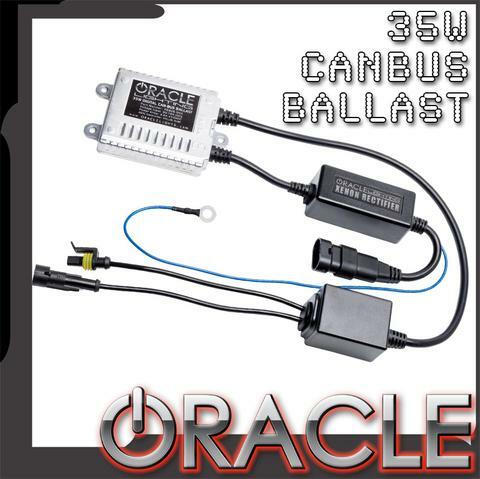 Oracle Slim CAN-BUS HID 35W Ballast Oracle Slim CAN-BUS HID 35W Ballast, Slim CAN-BUS HID 35W Ballast, CAN-BUS HID 35W Ballast, Slim HID 35W Ballast, Slim CAN-BUS Universal HID 35W Ballast, Oracle Universal HID 35W Ballast, Oracle HID 35W Ballast, HID 35W Ballast, Oracle HID Ballast, [Oracle 5906-504 HID Ballast] - $65.95 : 3rd Strike Performance, Your Source for Late Model MOPAR Performance Parts and Accessories! The key component of all HID ballasts is the “controller” which controls all functions from the initial ignition to continually ensuring the xenon gas inside the bulb stays ignited. The quality of every ballast starts with the controller inside. Our new 35W CAN-BUS Ballast contains an ASIC chip controller. The ASIC chip and integrated decoder circuit make this ballast compatible with any vehicle and can fix most of HID installing issues such as fault indicator lights, and bulbs flicking during operation. This special processor is made with powerful components of real-time lamp- monitoring & power compensation with full-time ballast protection circuitry.